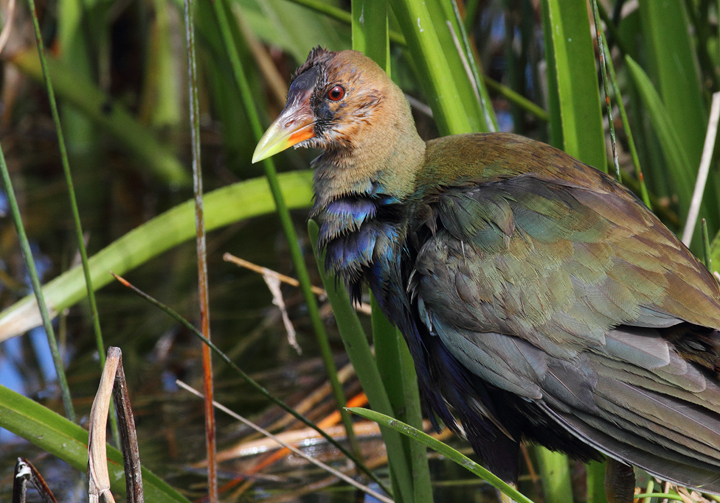 Southern Florida in late February. Last updated: 3/9/2010. 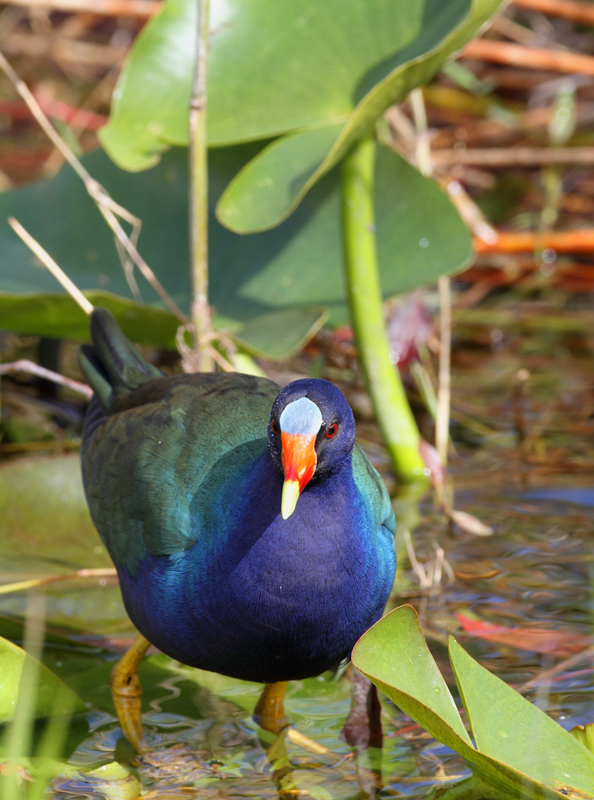 Above and below: An adult Purple Gallinule in the Everglades (2/26/2010). 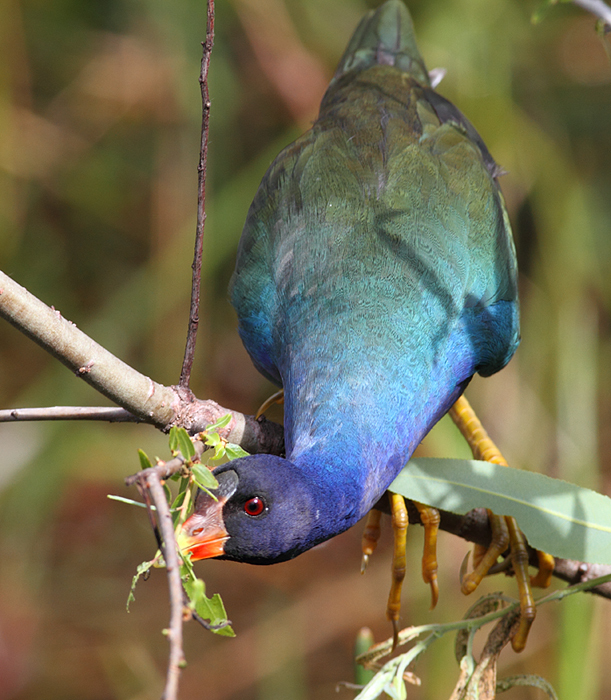 Below: An immature Purple Gallinule foraging nearby (2/26/2010). 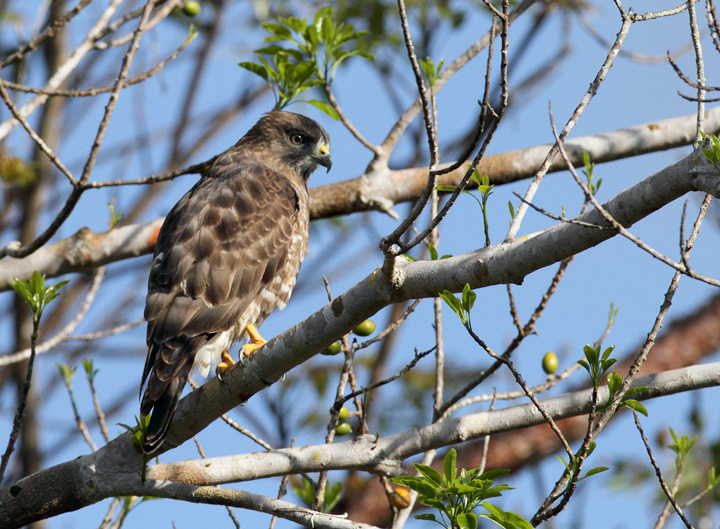 Below: A Broad-winged Hawk in the Everglades (2/26/2010). 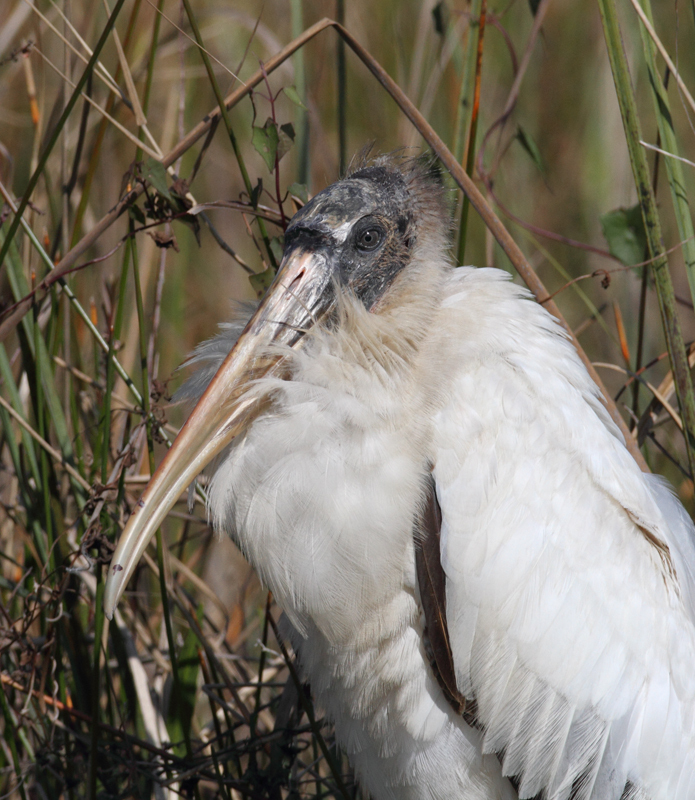 Below: A Wood Stork relaxes along the Anhinga Trail in the Everglades (2/26/2010). 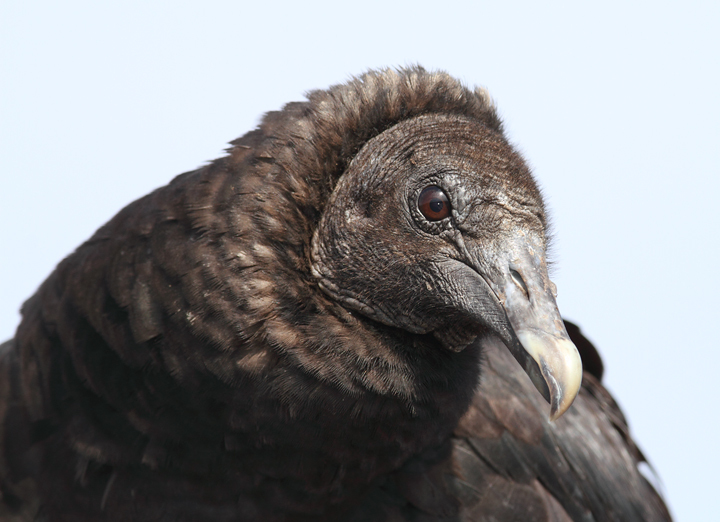 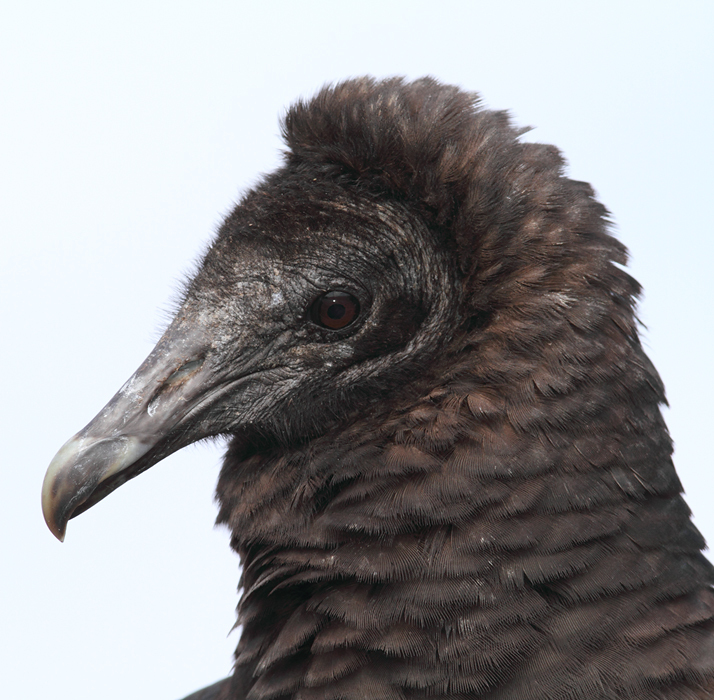 Below: Black Vultures posing for close-up portraits. 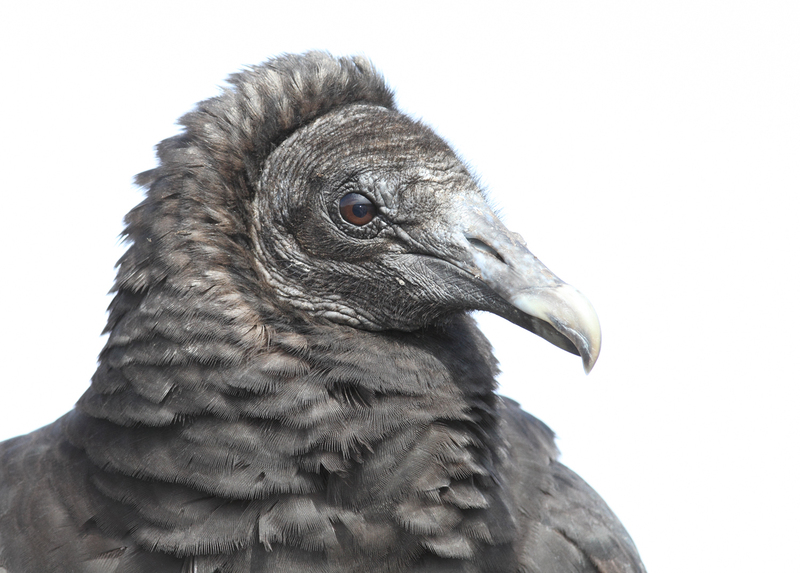 Click any image to enjoy vulture details you might not have seen so closely... Am I the only person who thinks of elephant skin? 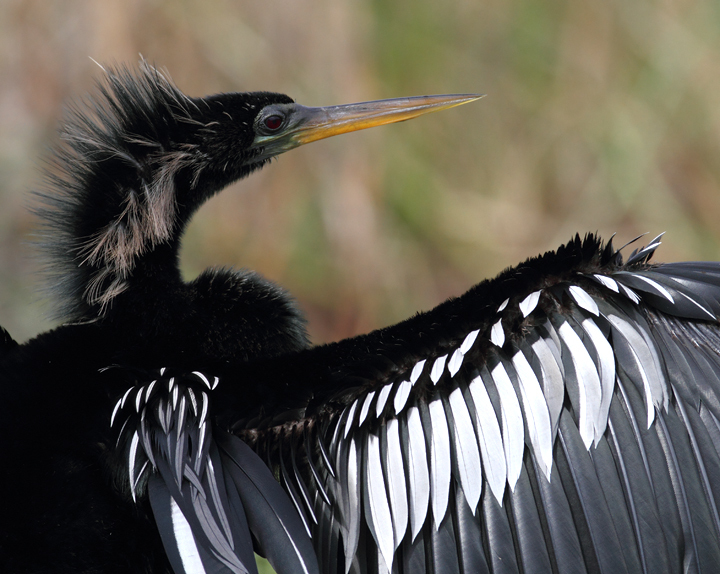 Below: Anhingas enjoying the good life in the Everglades (2/26/2010). 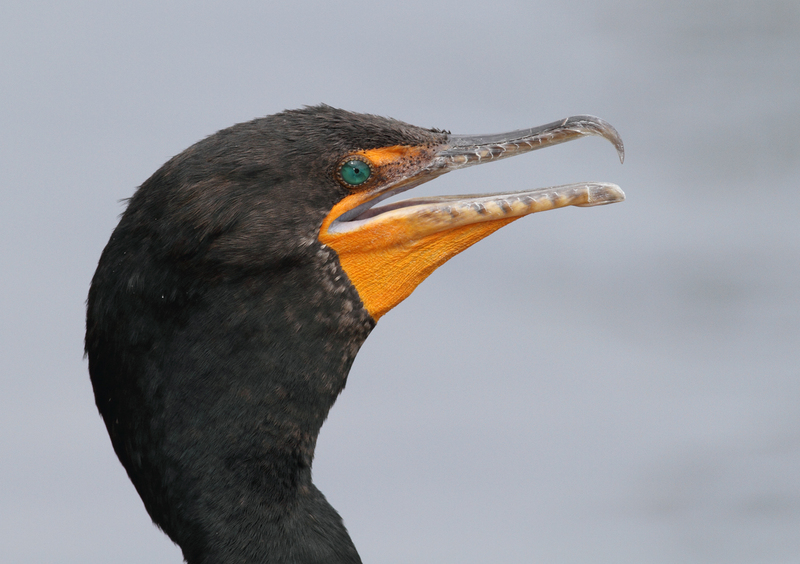 Below: A Double-crested Cormorant portrait. 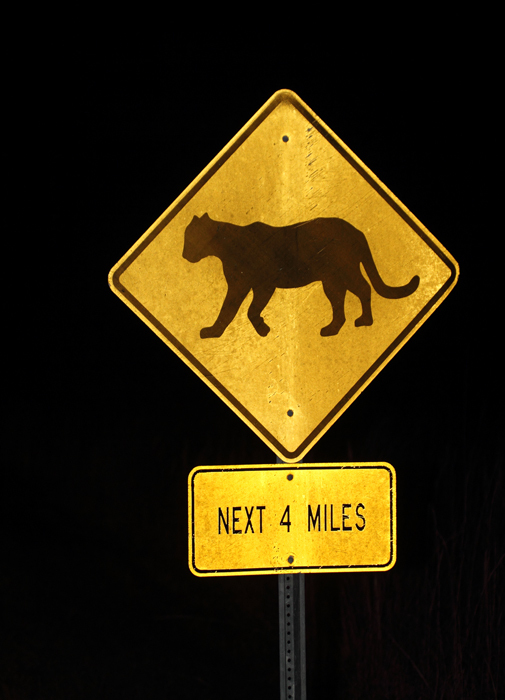 Click for high-resolution version. 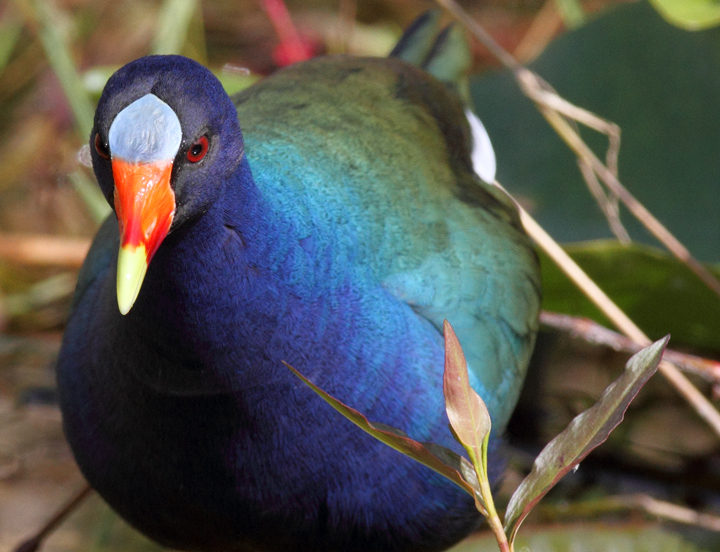 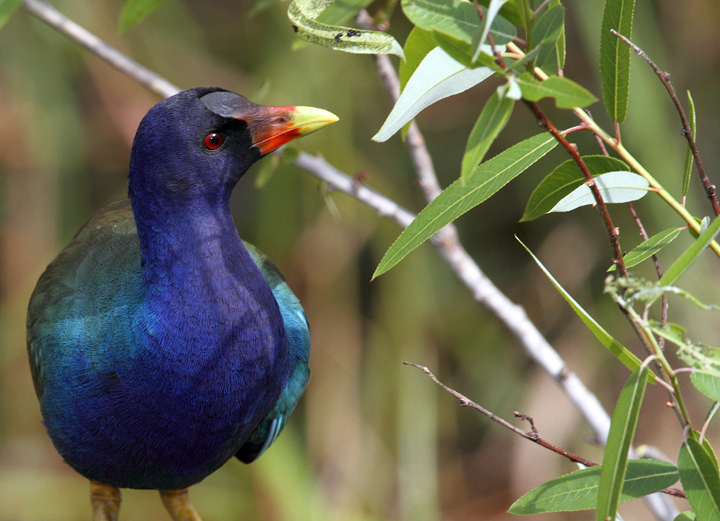 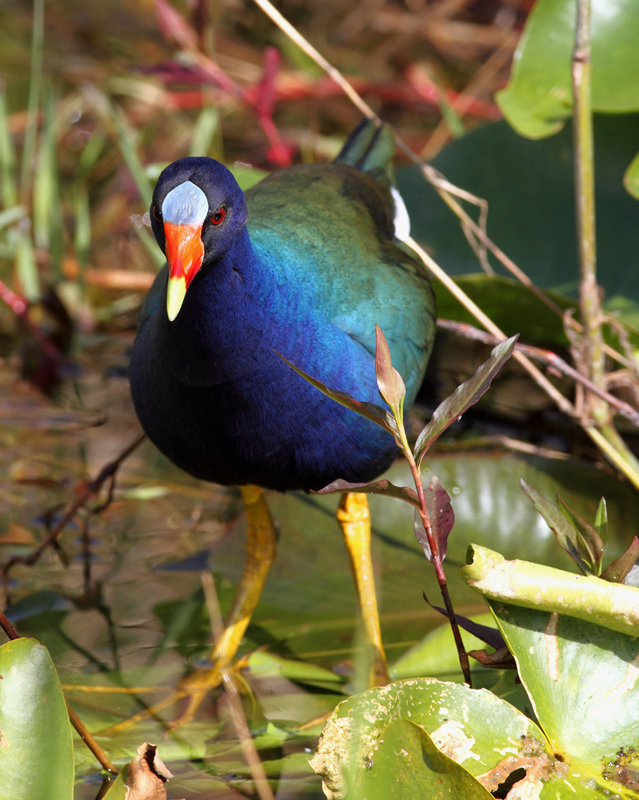 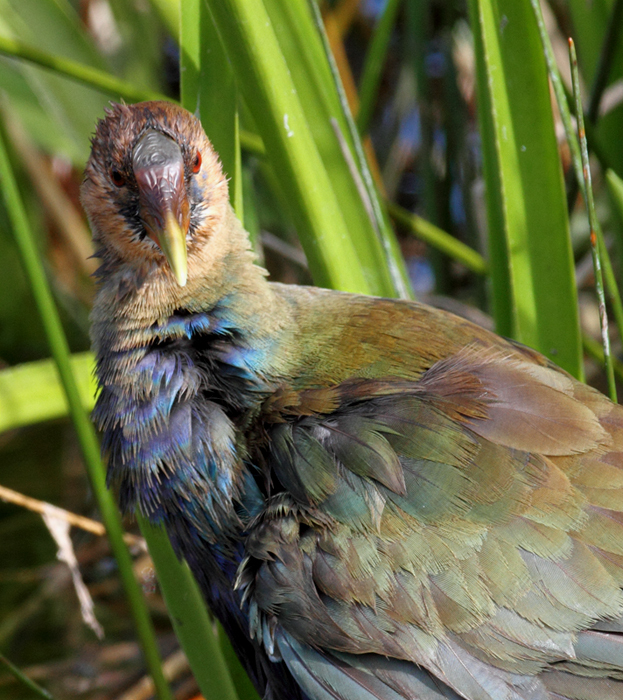 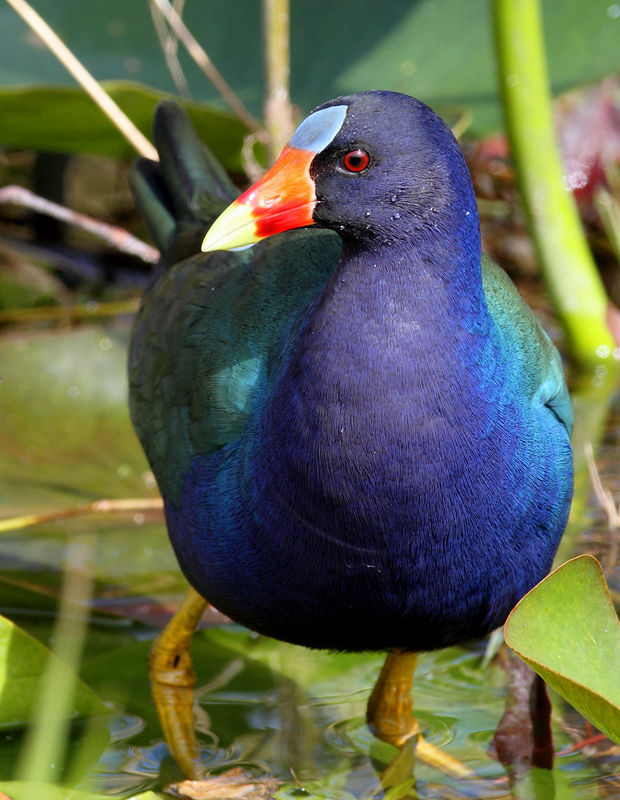 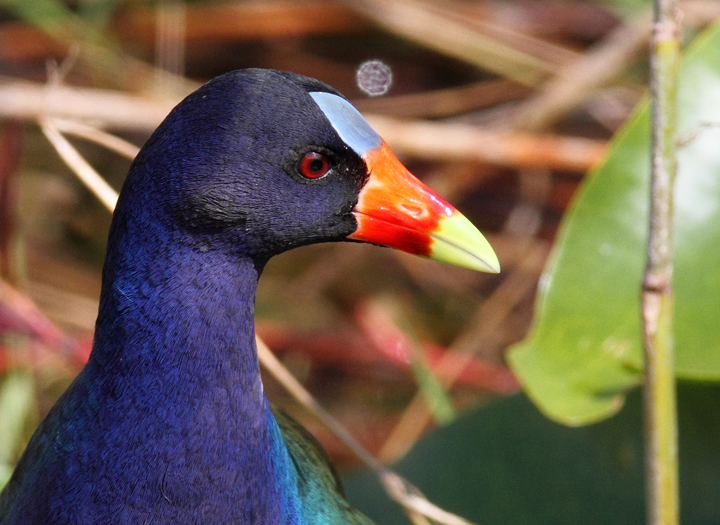 Below: OK, I can't resist including some more Purple Gallinule images. 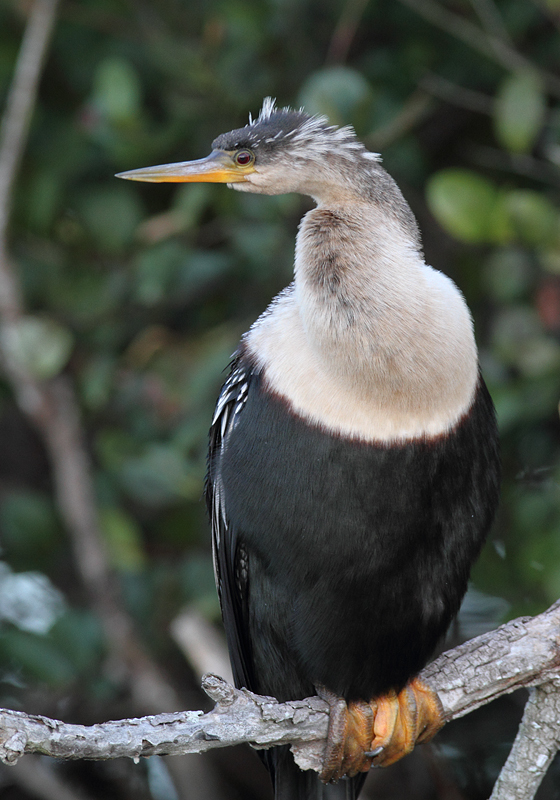 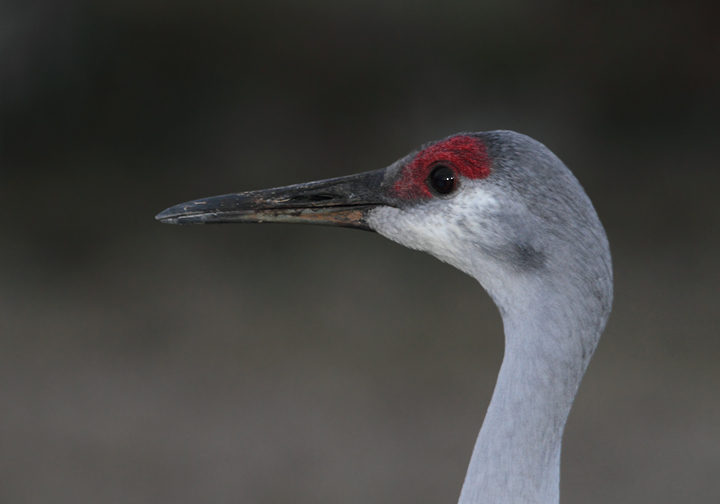 Another individual foraging on willow buds in the Everglades. 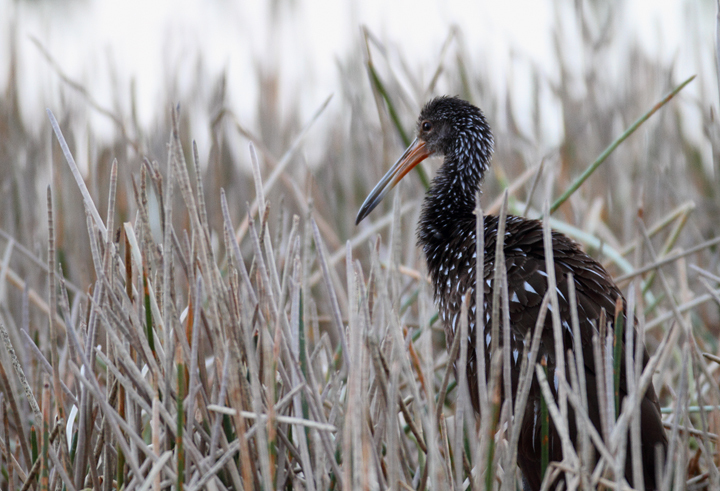 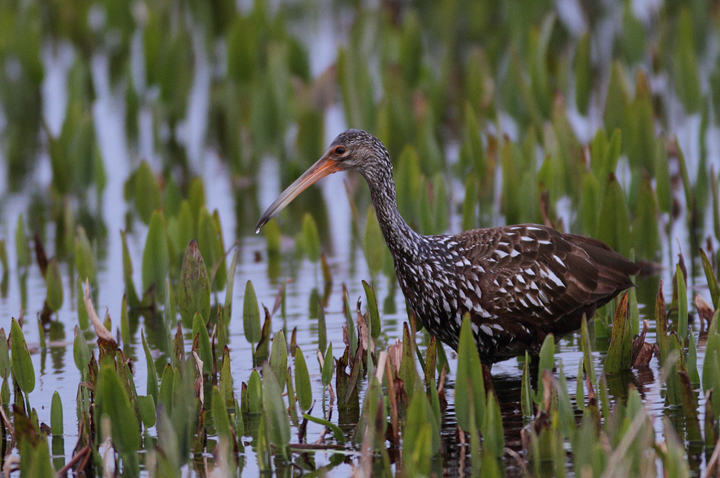 Below: Limpkins at dusk at Viera Wetlands, Florida, caught via high-speed exposure in near darkness (2/26/2010). 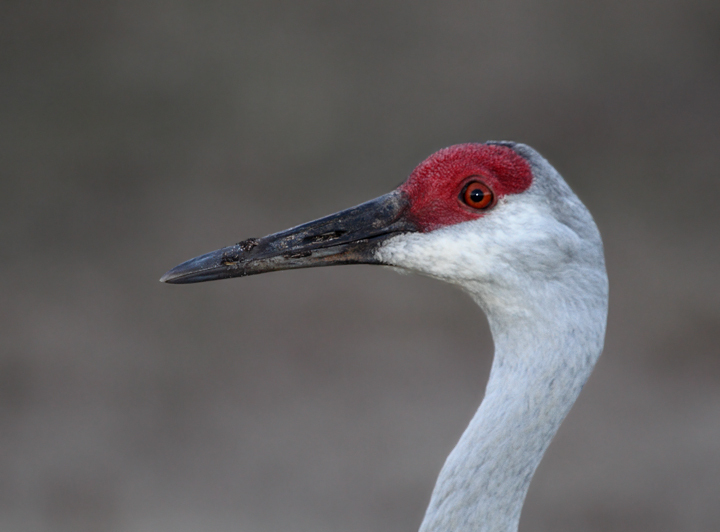 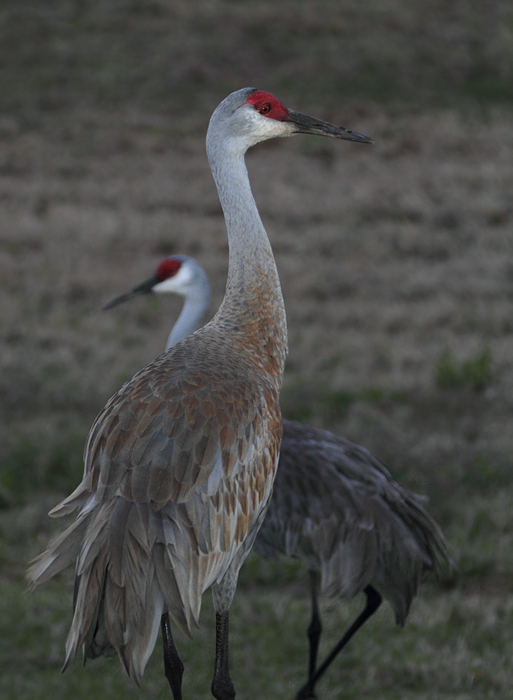 Below: Sandhill Cranes grudgingly move out of the way at Viera Wetlands. 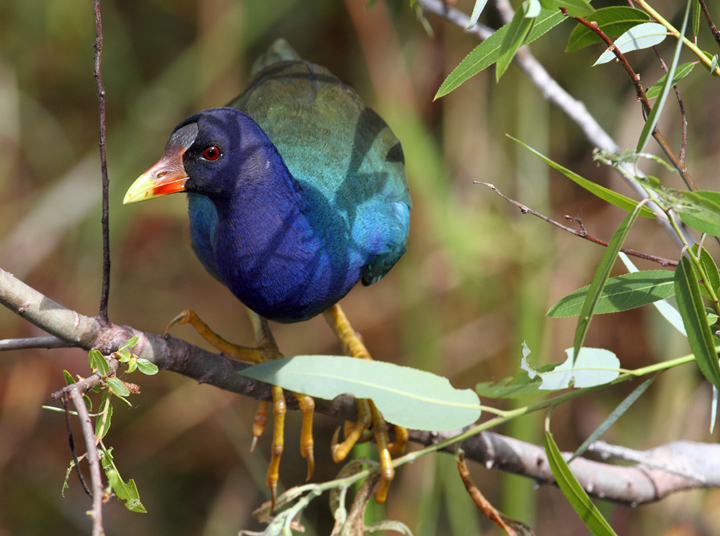 Note the variation in iris color between the three individuals. 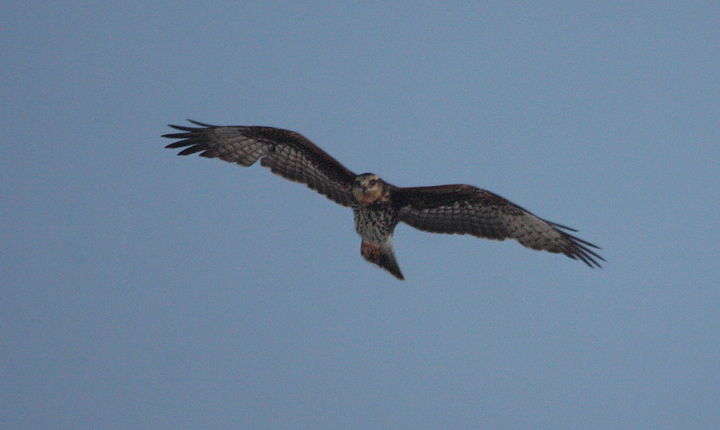 Below: A high-speed exposure catches a Snail Kite as it goes to roost at dusk in the Everglades (2/26/2010)..
Below: Just knowing there's a chance of a sighting lends excitement to any night in the Everglades. 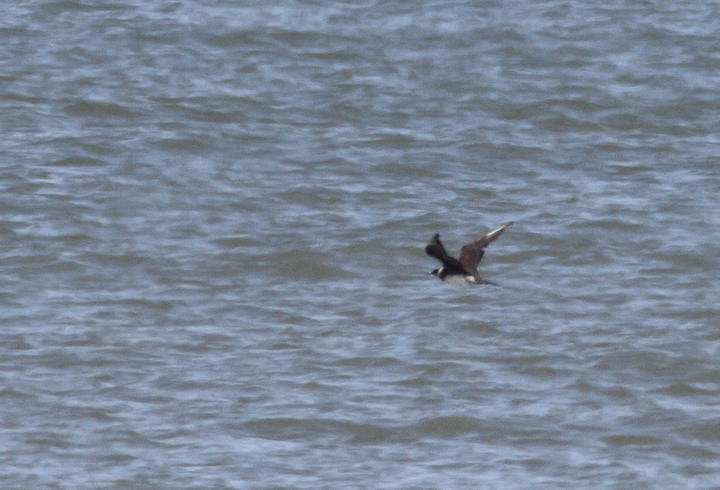 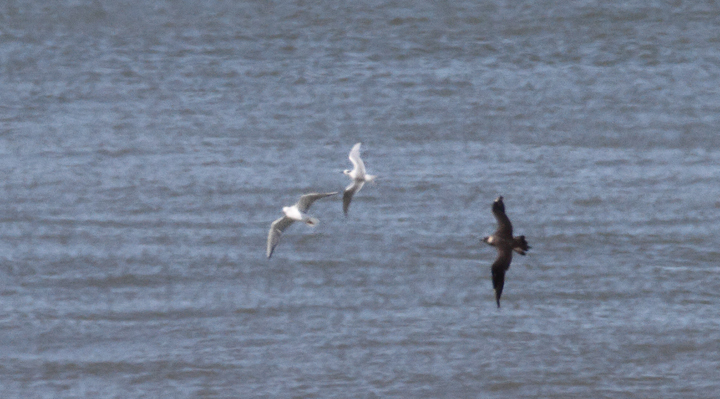 Below: A very distant Parasitic Jaeger beating up the local Forster's Terns and Bonaparte's Gulls - near St. Augustine, Florida (2/28/2010). 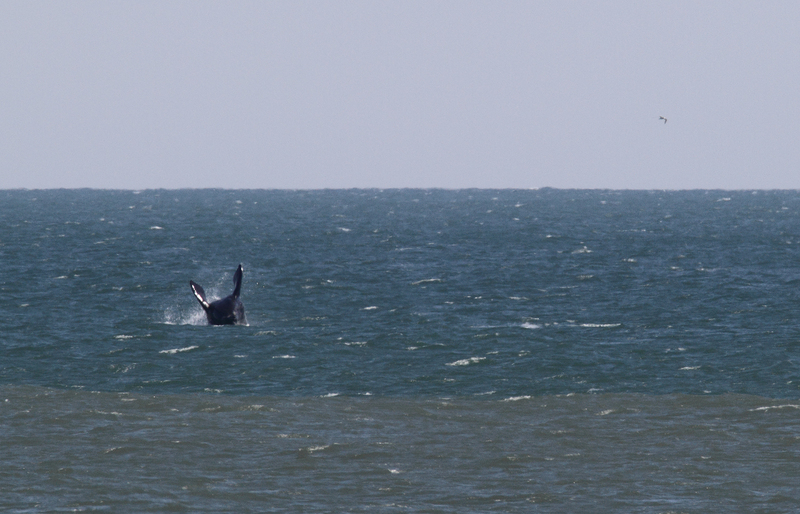 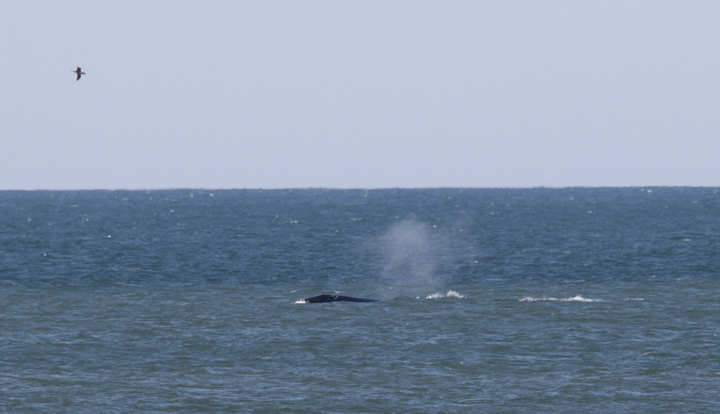 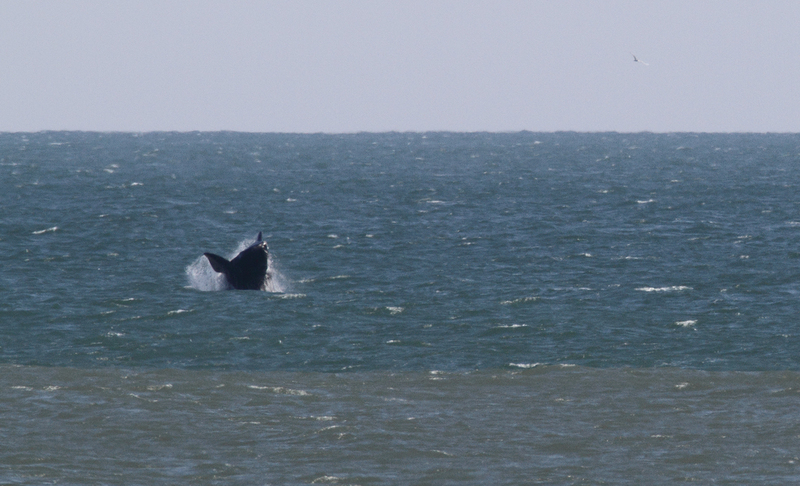 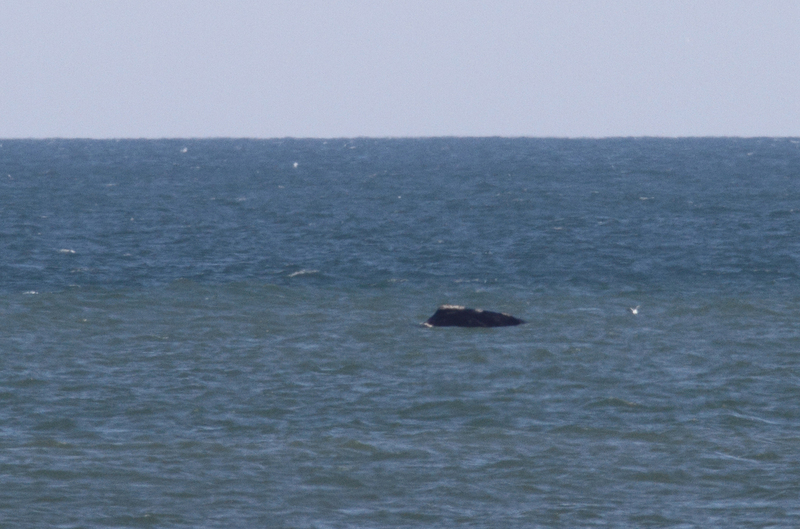 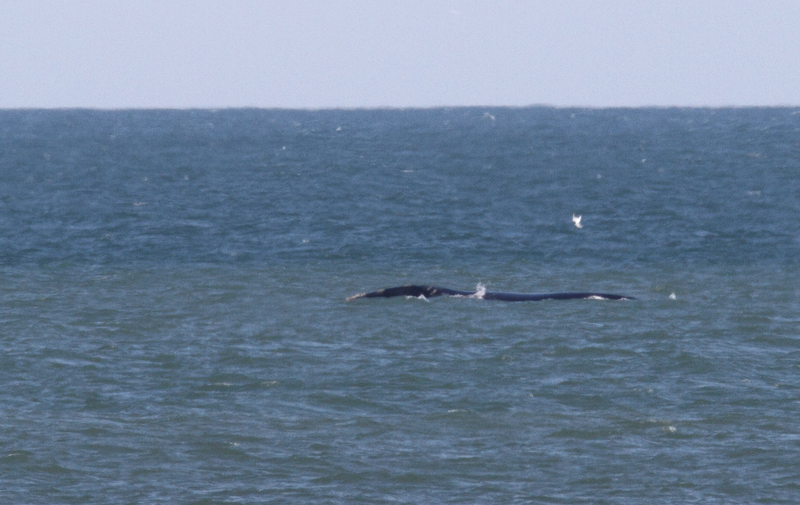 Below: Atlantic Right Whales off Matanzas Inlet near St. Augustine were the rarest sighting of the trip. With a global population of only about 400 individuals, it was amazingly good fortune that we got to enjoy this mother and calf. 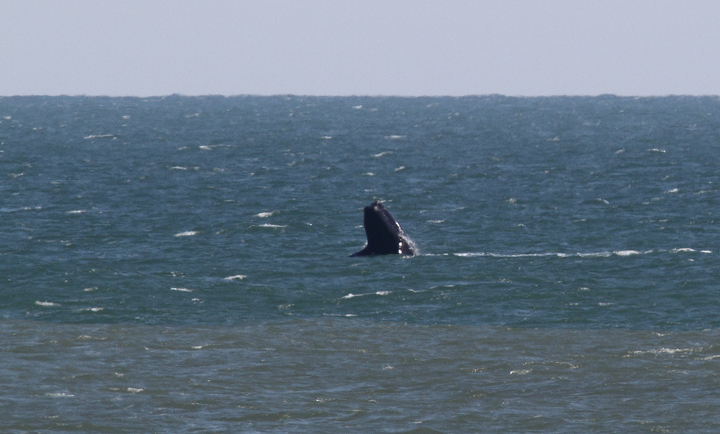 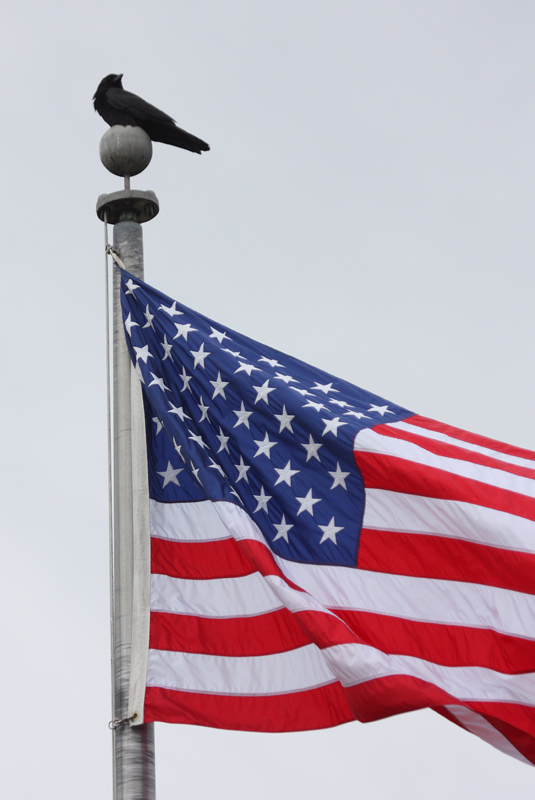 Good job, Kim Hafner, for spotting them! The first three images show the mother, while the remaining images show the playing calf. 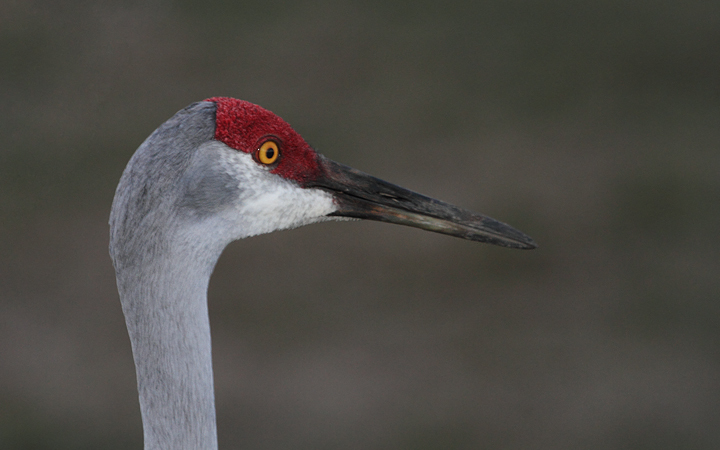 Click any image to view higher-resolution versions. 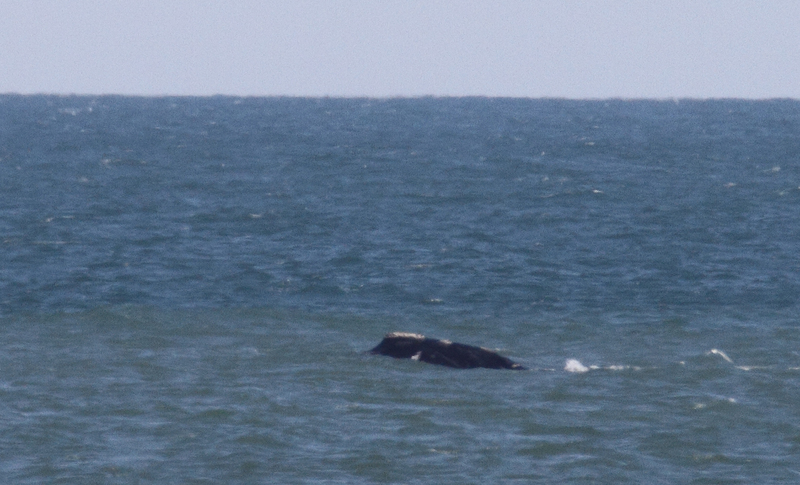 Hopefully the images of the mother will be sufficient for the research team to identify her. 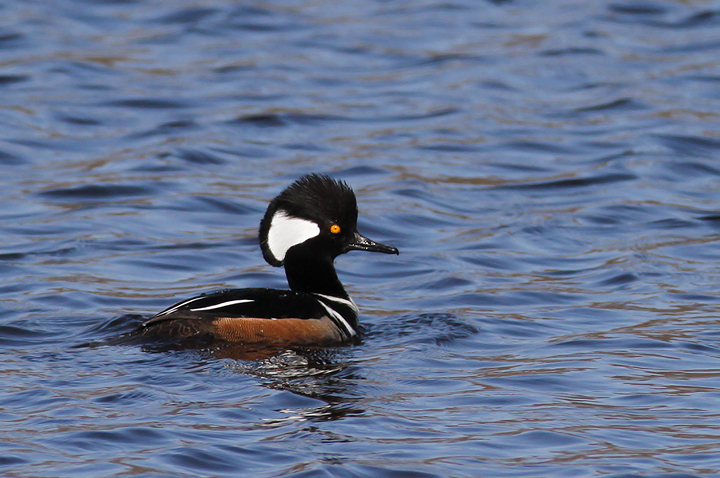 Below: A drake Hooded Merganser in Worcester Co., Maryland (2/21/2010).